Wintertime is my big bean-braising season. For making braised beans, Soup & Stew Donabe, "Miso-shiru Nabe", does the best work. To me, Miso-shiru Nabe is the king of slow-cooking pot. 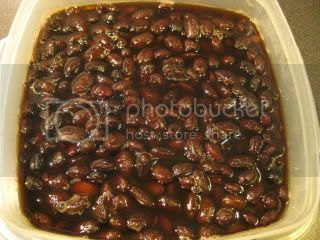 Rinse black beans first and soak them in 6C water in a large bowl overnight. 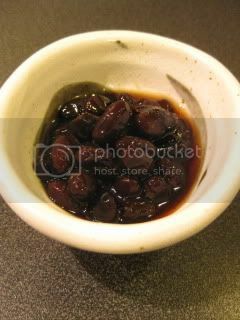 Transfer the beans and soaking water to Miso-shiru Nabe and set over medium-heat on gas-stove top. Once it starts simmering, skim any floating foam. Line the surface with a piece of parchment paper and cover with lid. 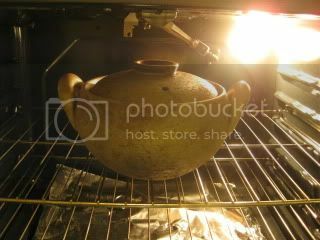 Remove from the heat and transfer Miso-shiru Nabe to 325F oven. Slow-cook in the oven for 8-9 hours or until the beans are very tender. Meanwhile, check the beans 1-2 times and add more water if necessary. Take Miso-shiru Nabe out of the oven. While it's resting, make the soaking syrup for the beans. In a small pot, combine 1.5C Okinawa black sugar and 1C water with a pinch of salt and bring to boil. Turn off the heat. Transfer the syrup to a container. 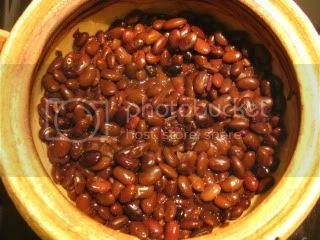 Drain the beans while they are still hot and transfer to the container with syrup. Let the mixture cool down completely. Cover and let rest in the refrigerator overnight. My black beans look like jewels. They are really tasty, and not overly sweet. The texture is not mushy or firm...just the perfect level. It's the magic of donabe. I like eating this anytime of the day.